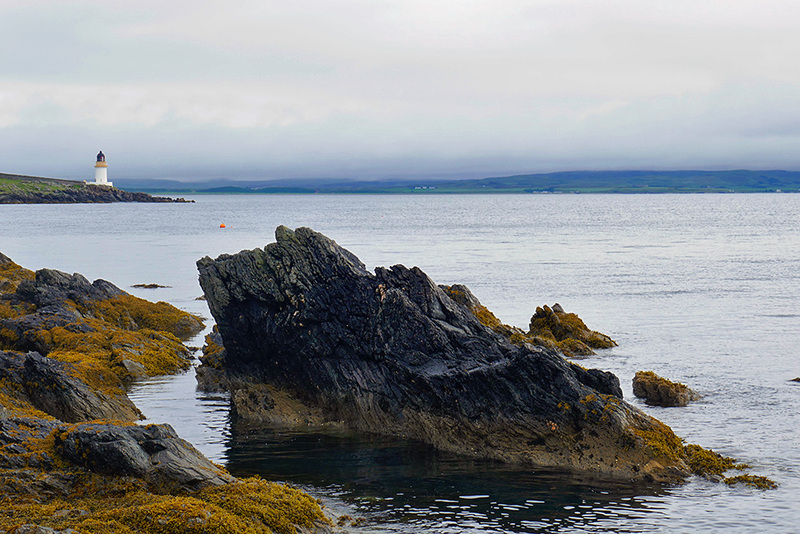 A rather dull June day on Islay, low clouds hanging in the sky. As it was also quite calm I was able to climb out on some rocks in Port Charlotte for this distant view of the Loch Indaal lighthouse behind some coastal rocks. This entry was posted in Cloudy Weather, Landscape, Lighthouses, New Post, Sea Loch, Village and tagged Islay, Loch Indaal, Port Charlotte, Rhinns of Islay by Armin Grewe. Bookmark the permalink.